Dafna Naphtali is a singer/instrumentalist/electronic-musician who composes/performs experimental, interactive electro-acoustic music. For 20+ years, drawing on a wide-ranging musical background in jazz, classical, rock and near-eastern music and using her custom Max/MSP programming, she’s performed in the US, Canada, Europe, India, Russia and the Middle East, with current projects also including: “Audio Chandelier”, multi-channel audio piece presented in US, Berlin, and Montreal (IX Symposium 2017 @Satosphére); “Robotica” (music robots and voice) at Avant Music Fest ’16 and continuing ; “Walkie Talkie Dream Angles”, an “Audio Augmented-reality” sound walk and personalized interactive composition written for NY’s Washington Square Park, and a new walk “Walkie Talkie Dream Garden” to be premiered in June 2018 for the waterfront area of Willliamsburg Brooklyn. Dafna’s has long-running projects in live sound-processing of voice and acoustic instruments, as her a performable “instrument”. The current focus is on duos with acoustic instrumentalists –pianist Gordon Beeferman (new CD “Pulsing Dot”), trombonist Jen Baker (Clip Mouth Unit), percussionist Luis Tabuenca (CD “Index of Refraction”), Chuck Bettis (electronics/throat – CD “Chatter Blip”) and with Hans Tammen (endangered guitar). Performing as a singer (unplugged! ), Naphtali has interpreted the music of Cage, Stockhausen (Stimmung w/choreographer Daria Fain / Magic Names vocal sextet), Eisler/Brecht (Hollywood Liederbuch), and contemporary composers Joshua Fried, Shelley Hirsch, Kitty Brazelton, José Halac, Yotam Haber, Jonathan Bepler, she’s performed Spanish Civil War songs with the genre-transcending band Barbez, and organized “Voice Activated” public interventions for Make Music NY. Fellowships/awards include: NY Foundation for the Arts (‘13, ‘01), NY State Council on the Arts (’99, ’18), Brooklyn Arts Council (’18), Franklin Furnace, American Composers Forum (’99, ’09), Foundation for Contemporary Arts, American Music Center; residencies: Music/OMI, STEIM, and Signal Culture. Discography includes “What is it Like to be a Bat?” digital punk trio with Kitty Brazelton (Tzadik), “Pulsing Dot” duo with pianist Gordon Beeferman, CDs with Chuck Bettis, Hans Tammen, and many as side-person / singer. 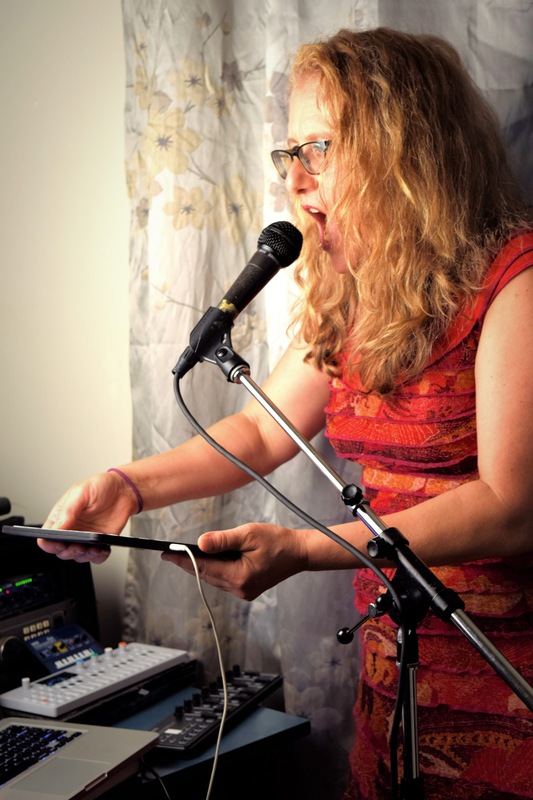 Her work-in-progress album, “Machines & Memory”, is commissioned pieces since 2010: “Panda Half-Life” (vocal sextet- electronics), “Marching Men” (voice/chamber group/electronics) and Robotica (voice/music robots). « mechanique(s) duo / trio and more..